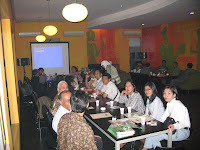 Hari Purnomo conducted BNI Infosession at Olive Cafe, started from 7 pm till end. The Audience are alumni of SMA6 South Jakarta and greduated in 1982. They have a solid team and always conduct business event every wednesday night. BNI-indonesia had turn to present infosession yesterday. Bravo 682.
every members business. 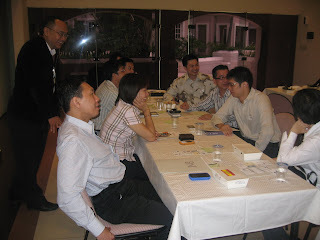 "If you want to double you business through referrals then contact BNI-Indonesia to help you"